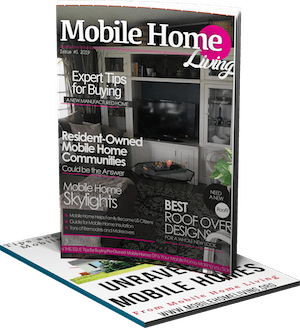 Hey, It’s OK to Live in a Mobile Home! The world has changed a lot in the last 30 years. There used to be a set path we were supposed to follow. We were supposed to graduate high school and go to college. Then, we were supposed to graduate from college and get a job in some huge corporation with an IRA, health insurance, and two weeks paid vacation. A short time later, we were to get married and buy a home. This home would be our life’s largest investment. Our financial stability wrapped up nice and neat in rolls of warmth, blocks of stability, and boards of beauty. We’d work for that same huge corporation for a decade or so, get a raise, and maybe even dream of buying a bigger house that would hold our growing family. We wouldn’t worry because our beautiful home, that we so lovingly improved and maintained with pride, would increase its value. We would sleep soundly knowing that our family and our future was going to be OK because our financial foundation was cinder-block strong. We’d raise our children and then send them off to college so they could follow the very same path we did and after 30 years of loyalty, we’d retire from that huge corporation. Cash out our IRA and retire in peace. All was well and the middle-class life was good but that’s no longer the case. In today’s world, struggle is a common denominator among us. A good job, with good benefits and opportunity to advance, has vanished. Now, it takes two adults working full-time to afford the bare necessities. The middle class is shrinking at a drastic rate. Cities are too expensive for us to buy a home and when we can buy a home our investments are gaining equity at a slower rate, if at all. In addition to higher housing costs, utilities and groceries are rising at an astounding rate while wages are staying stagnant. Since the infamous McMansion is out of reach for most of us we have to choose a different path. 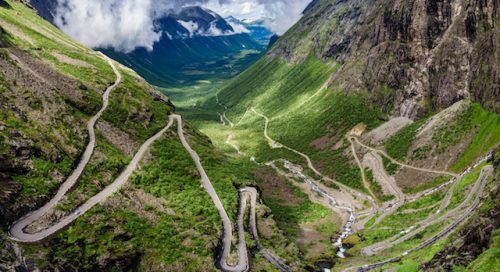 We have to choose our own path – our own way. For many of us, living in an affordable mobile home allows us to even the score out a bit in this poor economy. Paying less for living expenses allows us just enough extra money to travel, pursue hobbies, and provide for our families just a little bit easier. It’s OK to live in a mobile home because it allows us a better quality of life. Those of us living in a mobile are all too familiar with labels. 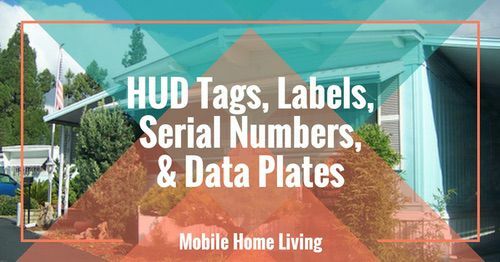 Our homes have many labels associated with them, but in this day and age, and in this economy, we have to put them aside and do what’s right for ourselves and our families. It’s OK to Live in a Mobile Home! Living in a smaller, more affordable home makes a lot of our lives a little easier. Read about manufactured home discrimination here. My philosophy is simple: unlabel. Not “un” as in the nihilist or negative sense of the prefix, but in the “refuse” sense of the meaning. Refuse to be labeled. Oprah.com has a great article called How to Stop Letting Other People’s Labels Define You. 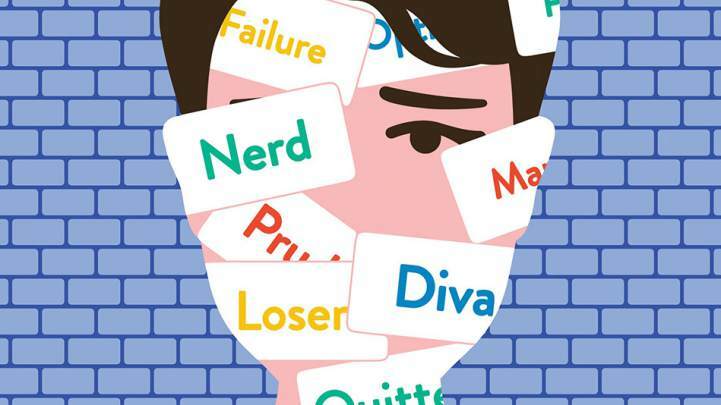 The essence of the article is how to let go of negative labels. If you’re holding negative definitions of yourself, question them—I assure you, they are lies. The more you learn this, the less you’ll suffer the hell of self-loathing. People may tell you you’re crazy. That’s okay, child. It isn’t true. Now run along and play. We must refuse to be labeled. Those of us that have chosen to live in a mobile home are adapting to an ever-changing economy. We are doing what makes sense for us and that’s all that matters. It’s OK to live in a mobile home! When you’re gone, what will people remember most about you? If it’s the type of home you lived in then you’re probably doing something wrong. A home is a home; a place that protects us from the elements, provides a safe environment for our families, and gives us a space to be ourselves. It doesn’t matter if it’s on wheels, cement, or steal. It doesn’t have to cost a lot and it doesn’t have to be in a fancy zip code. All it has to do is give you a place to be you and a mobile home does that remarkably well. Honestly, it’s OK to live in a mobile home! 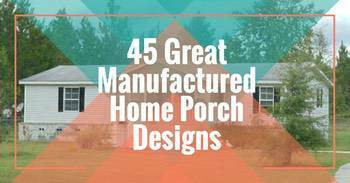 As always, thank you so much or reading Mobile and Manufactured Home Living! My husband and I are in our early sixties. We’re preparing to rent out our 3 level townhouse, with 2 sets of stairs and a basement we don’t use, and move everything to a mobile home we just bought that is bigger than our townhouse and all on one floor! I am excited to leave behind all of the noise and the planes and the sirens and the traffic of the city I live in. I can’t wait to leave this behind and move to a beautifully landscaped park and a home that I can take care of and be proud of. I would love to see your new home after you get settled! I’m so excited for you! Happy to have found this site and these articles. I have lived in a mobile home for 20 yrs after a difficult divorce. Couldn’t do much with it in the early yrs as I was raising my child and times were tough. She is out of college for a while now, I’m semi-retired and finally fixing it up. I feel so proud with all my renovation, kitchen, bath, New deck w/screened in porch. New floors too. But, I still feel ashamed at living in a “trailer”. My family all have large, beautiful homes and I always feel “inadequate”. But you’re right, there is nothing wrong with living in a mobile home!!! My home was paid off years ago, and I have freedom to do so many things. I see friends struggling with their mortgages and such, and I’m glad I’m where I am!!! So glad you found us Melissa! 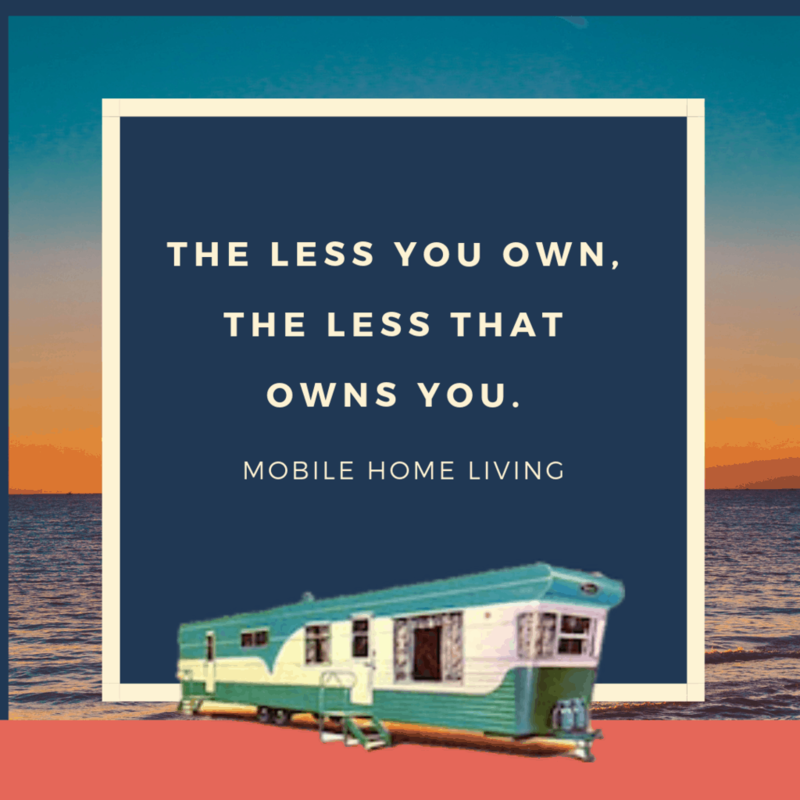 There are so many great advantages to living in a mobile home and not having to worry about a huge mortgage is the best one! Hope to hear from you lots more and I’m always looking for homes to feature (just putting that out there…lol)..Thanks so much for commenting! For me, it was the difference in applying for a 30 year mortgage (at 63)…how foolish and wildly optimistic is that? Or paying cash for a well loved and maintained mobile home on land (and on a lake)? It was not a difficult decision. My friends laughed…but…the paid for mobile home made it possible to travel extensively in my golden years, it made it possible to have a huge garden, it made it possible to have animals (more than just a cat or just a dog) and it allowed me the freedom to write or paint or do nothing instead of continuing to work to maintain my condo and the home owner association fees (AND RULES) and live somebody else’s life. I have not regretted the decision for one second. My friends stopped laughing when they saw my travel photos from Peru and from Alaska and from Italy and had dinner on the covered patio I built out back. Oh and as an added bonus…I can repaint my door any time (and any color) I choose and can decorate the interior at will. That’s a big deal after HOA rules all those years. I loved reading your comment! 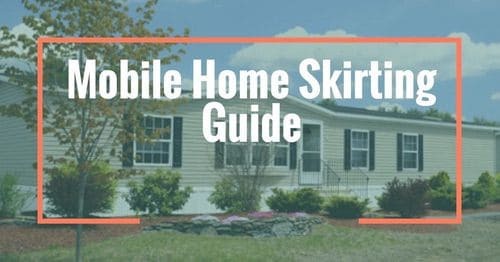 Everything you mentioned speaks volumes about the mobile home lifestyle. It provides so much more than it takes away! Traveling is my dream and having a mobile home with no mortgage allowed me to get on a plane for the first time in my life last year and I cannot wait to do it again and again! Thank you so much for sharing your story! I hope to hear more from you – especially about your home! YEAH!!! You rock Catherine. Mobile home living is great. Love my house, but it needs a lot of work and I am on a disability pension, so getting to the work is very difficult, but I still LOVE my home. Congrats on your and your traveling. Sounds like a great place, by a lake with property?!?!? Wonderful. Great article! This article is a great outlook on how people should look at life nowadays. The way of living is not the same as it was a few decades ago, and we have to adapt as such. 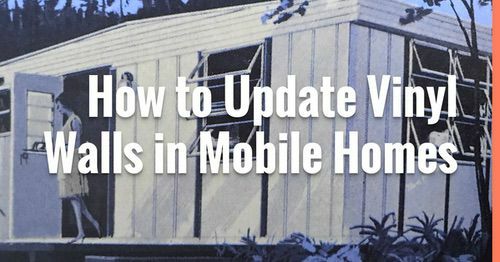 Also, mobile homes have advanced a lot with the times and most communities provide high quality manufactured and mobile homes for people to live in! Well said. I previously purchased an old manufactured home and moved it to private acreage. Basically gutted it and remodelled. It was very comfortable and the perfect size. Now I am in a ‘regular’ house, that is far too big for one person and the maintenance costs, insurance and property tax are killing me. I plan to sell next year and believe I will go the manufactured home route again on private land. Love your site. Here’s a refreshing article that I intend to pass along to my friends, who also live in mobile homes. Crystal pretty much tells it like it is. If you had asked me, 30 years ago, if I would ever live in a mobile home, I would have said you’re nuts. Not only is our home beautiful, but it’s the most affordable way to maintain a dignified lifestyle. The problem we are running into, interest rates for manufactured homes are double (sometimes triple) what it is for stick built. MH are cheaper but the added interest rates equals to just buying a higher priced stick at a lower interest rate. Kelly, I don’t know what state you live in but that’s terrible! 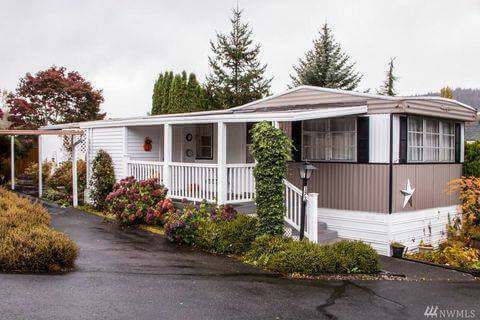 Three years ago, we bought an FHA/HUD manufactured home and have a home loan with a local (Pacific Northwest) bank at a 3.24% interest rate. Before that, we did find that “lots” of banks/mortgage companies wouldn’t even loan on a manufactured home. Finally, a real estate agent told us that she had a customer who had purchased a manufactured home and told us which bank she used. We bought a used mobile home and paid cash. My husband is retiring and we could not go into debt for a new home. Our home sits on an acre lot with beautiful trees. Our home is in a mobile home park however, the homes are not right next to each other, and there is a pond with ducks. 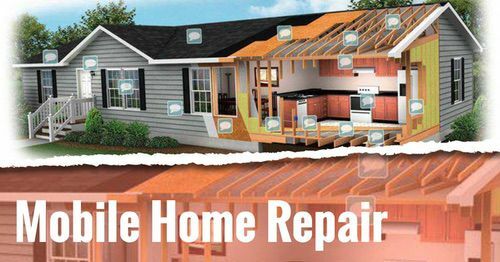 Our home needs a little work but I look at it as a plus because we can fix it the way we like it. I simply do not care what others think of me living in a mobile home. I know that when I lay my head down at night I am not consumed with worry with our finances. We have a storm shelter near by and we stay tuned to the local weather especially in the spring. People should be encouraged to live within their means and not live to please other people. Sounds like you have a perfect setup and a great home! Your attitude is perfect too – as long as you are happy, who cares what anyone thinks? Thanks so much for reading MMHL and taking the time to comment! It’s great to hear from you! Crystal, I always enjoy your articles about living in and maintaining a mobile or manufactured home. But this! THIS article has to be one of your top five EVER! Thank you Suzanne! After taking a 2 week break I figured I needed to come back with a bang! i am a mobile home and looking for possible larger or tiny home inhabitant. In a class b right now and love it Just want it to be about 17-22 ft in length. The one I have now is 9ft and you can park it any where. I am open to new ideas. Thanks. This is a wonderful article and spot on! A comfortable, paid-for home versus a huge underwater mortgage is a no-brainer. Just shared it on Facebook. Thanks for the article. Absolutely Patricia! However, $people$ will still try and tell persuade us all, on the Tax benefits of being buried under a home mortgage…….$pure $agenda$ Thank you Crystal, and everyone! !